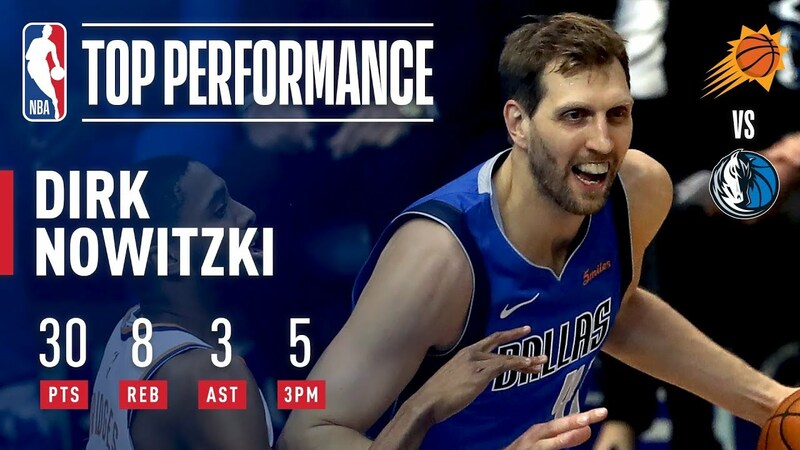 Dirk Nowitzki (40 years, 294 days) became the oldest player to score 30+ points in a game when he finished with 30 points (11-31 FG, 5-14 3pt FG) and 8 ropes in the victory over Phoenix Suns. Which players owned the night? Capture all the best individual performances around the league in the Top Performers series.